Join the mailing list and get a free ep! And get a free ep! 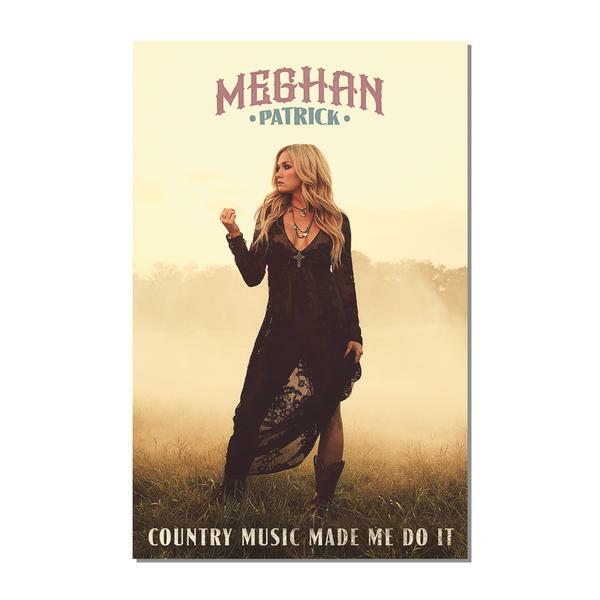 “There’s always a high and lonesome song that keeps on pushing me along.” This line from the title track and lead single of Meghan Patrick’s latest album Country Made Me Do It is classic country and serves notice that she is determined to revive and carry the traditional torch. 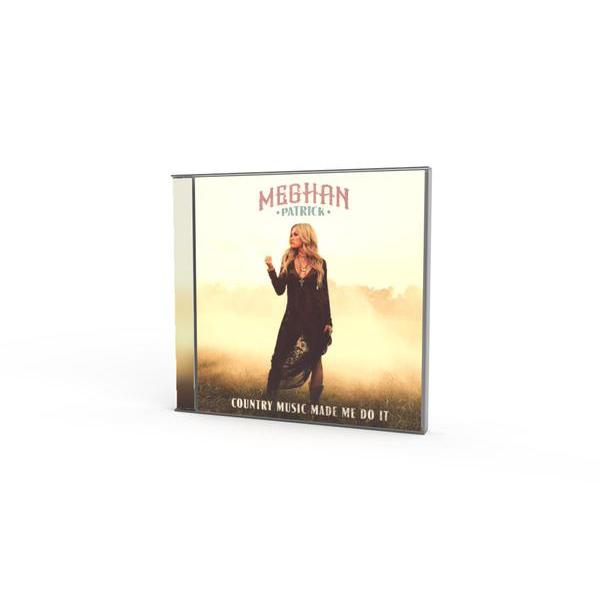 Meghan lives hard and loves hard, and her songs reflect this passion. She loves trucks, fishing and hunting, riding horses and a good stiff glass of whiskey, and all of these elements fuel her countrified lyrics. Think the free spirit of Emmylou Harris from those magical days when she performed with Gram Parsons, combined with the spark and sensuality of Tanya Tucker, the only female to crack the Outlaw genre, and you begin to have some idea of what Meghan Patrick is all about. It’s been a banner year-and-a-half for the Bowmanville native in terms of radio play, live shows and awards ceremonies. Her debut album Grace and Grit, sprouted four Top 20 singles including her stirring duet with Joe Nichols on the Top 10 hit Still Loving You. In concert, she’s performed with superstars like Lady Antebellum, Dwight Yoakam, Kip Moore and Martina McBride, peaking with a show-stopping duet with Keith Urban at the Timmins Stars & Thunder Festival. She topped things off by winning Female Artist of the Year and Sirius XM Rising Star awards at the 2017 Canadian Country Music Awards.